How are the world’s penguins faring in this day and age of global warming? What can we do to help them? 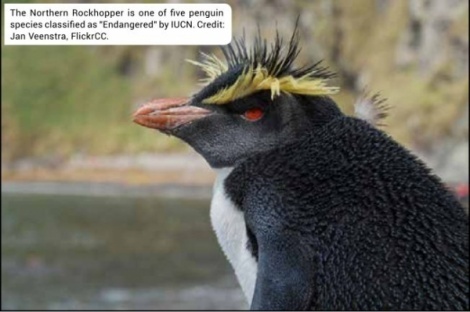 Not surprisingly, penguins - those cute and quirky flightless birds of the Southern Hemisphere that are loved by humans and have inspired countless films, books, comic strips and sports teams - are in deep trouble as a result of reckless human activity. One of the more dire threats to penguins is commercial fishing. “Overfishing and concentrated fishing efforts near penguin colonies for forage species such as Antarctic krill can make it more difficult for penguins to find nourishment… especially when fishing grounds overlap with the foraging grounds of penguins,” reports the Pew Charitable Trusts, a leading nonprofit with a focus on ocean conservation. Meanwhile, predators and nonnative invasive species introduced by humans are also taking their toll. According to Pew, several colonies of little penguins in Australia, for example, have been wiped out by nonindigenous dogs and foxes, while the Galápagos penguin has suffered big losses as a result of pathogen-borne illnesses introduced by non-native species and some natural bird migration. CONTACTS: IUCN, www.iucn.org; Pew Charitable Trusts, www.pewtrusts.org.